constant dollars. Over the next decade the market totals $65 billion. 2016 to $6.5 billion in 2025, a 32.6% compound annual growth rate. bring the internet to areas of the world with no service. make a forecast for what could potentially be quite a large segment. worldwide, particularly in developing countries. easier to use systems with new capabilities and a broader range of suppliers. strategies companies are using to address the market. 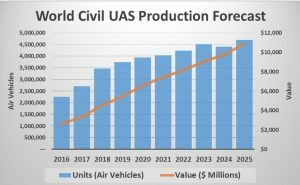 experience gained through 12 editions of Teal Group’s UAS study. 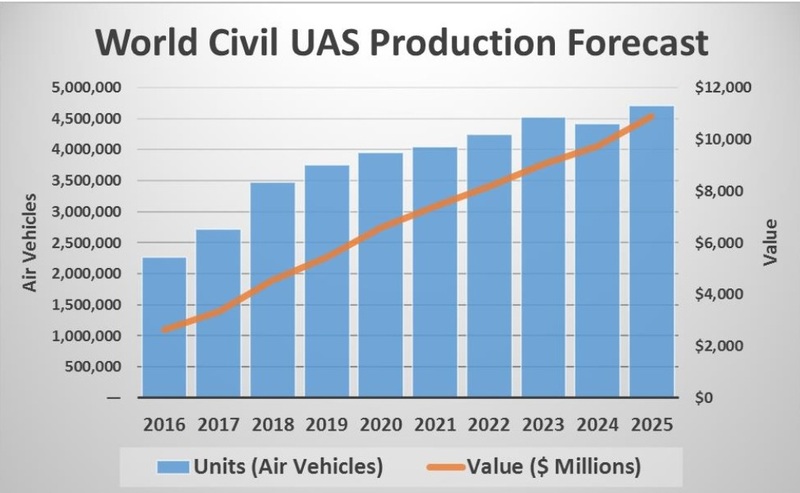 by customer, region, and class of UAS as well as by market. systems being used and their manufacturers.